I grew up on a small farm in Waterbury Center, Vermont. I spent a lot of time in agricultural pursuits including harvesting hay and making maple syrup (cliche, I know). I also played a lot of bassoon. My high school math teacher suggested I go to Oberlin College, so I did. After completing a degree in chemistry in 1985, I tried my hand at public health (somewhat of a family business). I found, however, that I didn't enjoy dealing with the public (around health) and so returned to science. My Ph.D. study with Jim Anderson was a long, drawnout and totally enjoyable affair -- I started out working in the laboratory on kinetics of gas-phase radicals (with Phil Stevens, Darin Toohey and Jon Abbatt) before being drawn into the field. I worked with Rick Stimpfle and Larry Lapson on a crazy experiment measuring the hydroxyl radical (OH) abundance in the stratosphere by laser induced fluorescence (imagine a battery powered, copper-vapor laser pumping a dye laser all dangling from a hellium balloon at 30 km altitude). Three long summers in Palistine, Texas, was not punishment enough and so I began a new project (together with Ron Cohen and Tom Hanisco) to measure OH from NASA's ER-2 aircraft. I learned that planes are much better than balloons for doing this science. I also learned just how important great engineering and technical staff are (thank you Norton Allen, Joe Demusz, Nate Hazen, Larry Lapson, and Jim Oliver). Finally, I received my Ph.D. in Physcial Chemistry in 1994. I also met my wife, Cheryl, during this time (in a laundrymat of all places). After a few years hanging on at Harvard (during which my daughter Janna was born) I moved to Caltech. I quickly learned that Caltech is an awesome place to be a scientist. I continued to work on aircraft instrumentation as well as new efforts to measure atmospheric composition from the ground (TCCON) and from space (OCO, and the ill-fated MATMOS) (and, Emma joined our family). I have had many fantastic students and postdocs work with me -- please see their individual pages on the group research page. 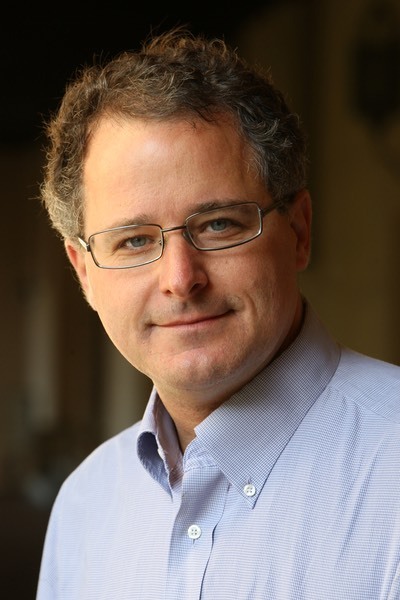 I also serve as the director of Caltech's Linde Center for Global Environmental Science, whose central goal is to provide quantitative, process-based, understanding of the Earth and its interactions with humanity.